Contracting with heat pumps or cogeneration plants (CHP) is becoming increasingly popular. Customers appreciate not having to make an investment for a new heating system. More and more specialised service providers and municipal utility companies are using this to create new business models. A contractor builds and finances a power generation plant and provides energy for a fee to the contract holder. The scheme is regulated in an energy supply agreement. The service can include electricity, heat, cooling or combinations thereof. The plant remains the property of the contractor for the duration of the contract. According to the Association for Heating Supply (Verband für Wärmelieferung e.V., or VfW), currently some 600 companies in Germany are in the contracting business. “About half of all German contractors are VfW members,” says Norbert Krug, the association’s president. The proportion of these contractors engaged in heat-pump contracting cannot be quantified due to technological openness, he says, “Most contractors use heat pumps if it makes good financial sense or on special request of the customer,” says Krug. The reason the business model is enjoying such burgeoning popularity, according to the German Heat pump Association (Bundesverband Wärmepumpe, or BWP) CEO Martin Sabel, is as follows: “In general, contracting offers the customer the advantages of planning security and good service with just a single point of contact.” Contracting models with heat pumps in conjunction with low-temperature district heat, for instance, also offer communities the benefit that the entire neighbourhood is provided with environmentally friendly heat. But when each homeowner opts for an individual heating system, less climate-friendly systems are often installed. In the context of often ambitious community climate targets, this is seen as a drawback. One challenge making it difficult to offer attractive contracting conditions with electric heat pumps is the current high price of electricity compared to prices for oil and gas. The municipal utility company in the northern German town of Schleswig recognised the benefits of contracting early on, in particular for development-scaled solutions in conjunction with low-temperature district heat. In the Berender Redder development, the utility collects underground energy through an approximately 10 km-long geothermal network and a 4,000 m2 geothermal collector. Other environmental heat sources are also planned. Since May 2015, the utility company has offered its customers heat pumps in the framework of management and heat provision contracting. Schleswig-Holstein sees itself as the advance guard in the field. “Every homeowner in the neighbourhood can be connected to this collector via a house connection. But no one is forced to connect to it or even use it,” says Thorsten Bock, who works in technical sales at the Schleswig municipal utility company. As a regional and innovative utility, the company wants to achieve long-term customer loyalty with the service package while providing affordable, environmentally friendly heat. Installed in each of the individual residential buildings is a Waterkotte brine/hot-water pump. The Schleswig-based company stn GmbH designs and installs the heat pump systems in customers’ homes for the utility company. The plant raises the supply temperature for space heating to a maximum of 35° C and the required 50° C for the hot water system. The heating energy is billed using a calibrated heat meter. The contractor pays the cost of the electricity to operate the heat pump system. According to Thorsten Bock, the energy price is less than 7 cents/kWh which he says is, “A price that can hold its own against conventional heating systems.” As an installation subsidy, the customer pays a heat pump price of EUR 7,616 (gross, not including cooling) pre-installed, including 1 m of supply line to the house. The utility company pays the operating cost of the additional heating element installed as a backup. 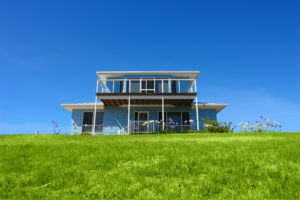 For a surcharge, the company offers homeowners the option of using the heat pump during the summer as a form of natural cooling for the house. The service package of the Schleswig utility includes annual maintenance of the plant and optionally all repairs over the entire duration of the 15 year contract. In addition to the energy price, the customer pays a basic fee and maintenance costs. A complete carefree package for maintenance is also available. Currently, in the second construction phase, 112 of 142 units are being supplied with a supply rate of around 80%. The residential units are single and multifamily homes. In the third construction phase, which will be initiated and marketed this year, a total of 200 residential units will be served. According to VfW president Norbert Krug, particularly good target customers for heat pump contracting are commercial and industrial consumers as well as private households and apartment complexes that use air conditioning. Broadly speaking, environmentally conscious customers a key target group. Generally, the model is also attractive for large residential buildings that heat hot water in the summertime with the heat pump and switch off the heating system or boiler, and which in the wintertime get their complete heating supply from their boiler. “This allows for good annual performance factors for the heat pump,” says Krug. The physics involved in the operation of heat pumps, which constantly produce both heat and cold, make cooling demand decisive for achieving economic feasibility. If the cold can be used, the entire system is disproportionately economical. When asked about basic fees and energy prices, Norbert Krug points out that pure heat pump contracting is really the exception, “Usually a heat pump is used in combination with a back-up boiler because an overall system it is usually more efficient.” The energy prices for heat pumps are competitive with pure fossil fuel systems, such as natural gas fired boilers, depending on the local conditions. Barring some unusually good thermal source, such as industrial waste heat, use of a heat pump on its own is generally too expensive. Also, heat-pump contracting with a PV system incorporated into the concept is “rather unusual,” he said. The company 2G Rental GmbH, based in Heek in the administrative district of Muenster, believes that there is a market for contracting in the cogeneration segment, “As far as we know, 2G with its 2G Rental scheme is the first and only CHP plant manufacturer to offer its own in-house rental model for CHPs,” says authorised officer Thomas Gawlowski. The company’s portfolio includes plants from 20 kW (can be modulated to 10 kW) to 4,000 kW. The rental model has been available since 2015 and has a duration of 4 to 9 years. It enables customers, “To use a CHP plant from 2G without an investment and with a high degree of security and flexibility.” The company rents a plant to the customer including system design and installation. “Customers can operate the plants as they like in line with 2G’s technical specifications and claim any benefits and subsidies for themselves.” The main benefits for customers, he says, are that he the plant does not have to be accounted for as a fixed asset and can be operated throughout the duration of the contract with little risk and a range of options. There seem to the almost limitless potential applications for contracting solutions. Whether from a utility company or a specialized service provider, the market offers attractive segments for numerous players. German legislators contributed to this when they passed the revised Energy Conservation Act (EnEV) three years ago. 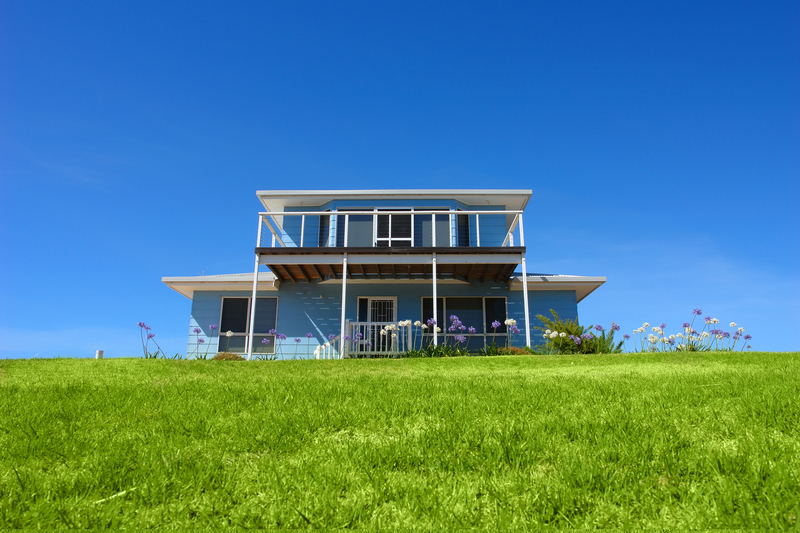 The EnEV 2014 improves incentives for heat pump contracting. After all, well planned heat pumps achieve high primary energy factors, which gives them an advantage over other technologies and makes buildings more future proof.